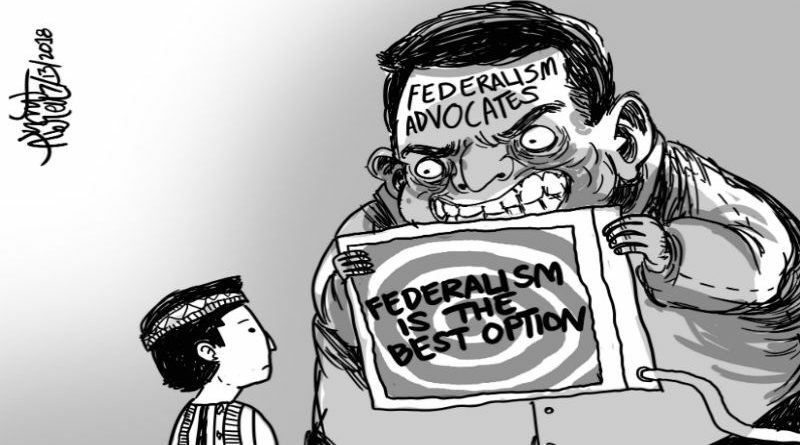 PASAY CITY – Advocates and critics of the government’s proposed shift to federal form agreed that federalism can be implemented by phases until such time that Filipinos shall have achieved the political maturity to embrace a change in the form of government that will help the country to be globally competitive. Federalism was the major focus of discussion on the recently concluded 3-day Seminar-Workshop for Media Practitioners sponsored by the Philippine Press Institute (PPI), the national association of local newspapers, the Pimentel Institute of Leadership and governance and the Hanns Seidel foundation – Philippines that was held at the Hotel Jen here. Former Senate President Aquilino Pimentel pointed out that government should not be as noshed by the huge budgetary requirements to be spent for the transition from the current form of government to federal form because the shift could be done in phases and the appropriation of funds for the purpose can also be done in tranches. He agreed to the contention of critics of the shift to federal form that the transition of the change in the form of government will have to go beyond the term of President Rodrigo Duterte but there is a need to start somewhere instead of having to let time pass simply to await for the right time to pursue the shift in the form of government. Pimentel was one of the members of the 22-man Consultative Committee (ConCom) created by President Duterte to review the needed amendments to the 1987 Constitution wherein the output was the draft federal charter that was already endorsed to Congress for consideration in the planned shift to federal form. “We have to embrace federalism to speed up the development in the countryside and to put an end to the century-old conflict in Mindanao,” Pimentel stressed. Malou N. Tiquia, chief executive officer and founder, PUBLICOS Asia, Inc., claimed that the Peoples charter which they crafted was only 1 pages compared to the 13-page charter crafted by the ConCom and provides for a 1-year transition from the present form of government to federal. She added that in the first year of transition, the big islands will be factored in followed by the developed regions in the second year, the proposed twinning between the developed and under developed regions on the third year, the partial roll out of the major services in the fourth year up to the full transition on the tenth year. Tiquia also emphasized that in terms of government expenditures, the Peoples charter is reportedly P2 billion cheaper while the house version of the federal charter is P3 billion higher in terms of cost of transition aside from the fact that the ConCom draft is said to be P4 billion more expensive. Lawyer Romel Bagares, Executive director of the Center for International Law Philippines, explained that it is high time to have aggressive national consultations on the shift to federal form of government to make people ready for the change in the system considering the poor acceptance of federalism by the people based on previous surveys. He expressed reservations on the on-going debates on the shift to federalism considering the enormous time involved in the proposed transition which should not go beyond two decades of hard work and sincerity among those involved in the change in the form of government. Bagares emphasized that unless there will be a prevailing situation wherein there will be a strong clamor from the ground regarding the proposed shift to federal form, sincerity among those who are working for the change in the system among other existing conditions warranting the change, it will be difficult to sustain working for the shift to federalism.